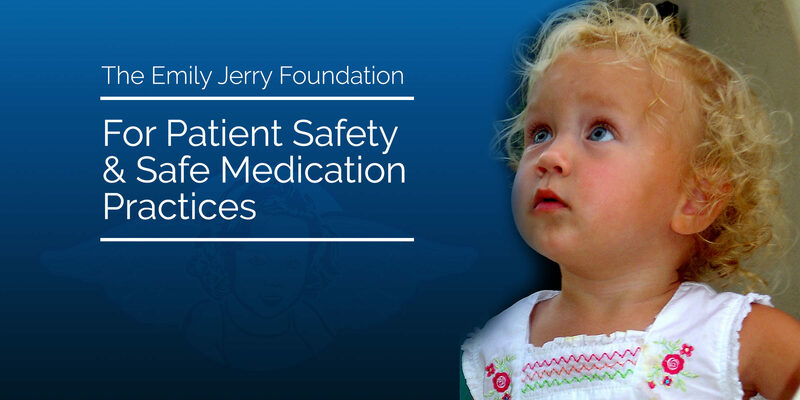 Earlier this year I began collaborating with an amazing organization called the Patient Safety Movement Foundation with a wonderful cause. Their core focus and mission is very much the same as The Emily Jerry Foundation’s in so many ways. At their upcoming Patient Safety, Science & Technology Summit in January 2014, they are successfully garnering support from some of the best and brightest minds in healthcare, science, industry, and government, to address the key patient safety issues that lead to so many senseless deaths every year. What makes this summit different from so many others, is the fact that they are requiring commitments across the United States to implement actionable patient safety solutions in our nation’s medical facilities that are proven to significantly reduce the number of tragic preventable medical errors, like the one that took my beautiful daughter Emily’s life in 2006. Most importantly, each attendee will leave this summit with actionable plans that they will commit to implementing at their individual institutions when they return. As I mentioned in a recent article posted to The Emily Jerry Foundation’s website, recent estimates of deaths in the United States from preventable medical errors are now currently at over 440,000 lives per year, according to The Journal of Patient Safety (September 2013 – Volume 9 – Issue 3 – p 122–128) titled “A New, Evidence-based Estimate of Patient Harms Associated with Hospital Care”. Even though this number is staggering, making preventable medical errors the third leading cause of death in our nation, following heart disease and cancer, the primary objective of the Patient Safety Movement’s Founder, Joe Kiani, is to ultimately get to ZERO preventable deaths by 2020. As overwhelming a task as this may seem, by getting the leaders in our nation to truly rally behind this extremely vital cause and, more importantly, take action by making these firm commitments, like Joe, I believe this is a very realistic goal. With that in mind, this is precisely why I have offered the full support of The Emily Jerry Foundation and its programming, as well as, myself personally, to doing everything I possibly can through my advocacy efforts to help make this goal of ZERO deaths from preventable medical errors in 2020 a reality! This is why I felt so honored when Joe personally invited me to be a panel speaker at their upcoming event. The Patient Safety Science & Technology Summit will be held January 11-13, 2014 at the Ritz Carlton in Laguna Niguel California. Below you can watch a segment that Joe Kiani and I just participated in, last week, titled “How to Stop Hospitals From Killing Us” on Huffpost Live. This discussion allowed me to share Emily’s story, as well as, further emphasize how very committed advocates like, Joe and myself, truly are compelled to be an active part of the overall SOLUTION to the enormous number of catastrophic deaths from preventable medical errors that occur every year in the United States. In my opinion, absolutely none of these people, like my daughter, have to die so senselessly. After all, these horrible errors are, in fact, “preventable” if we all join together and find logical solutions that make sense. Subsequently, if we can get everyone to “rally” and take action, modifying their internal systems in medicine with clinically proven technology and new and evolving “best practices” that significantly lower the probability of “human error”, in our nation’s world-renowned medical facilities, literally, hundreds of thousands lives will be saved every year!